One can never have enough cookbooks filled with great recipes and mouth watering photographs they help us to expand our palette and culinary experience. Recently I watched a show on TV about centurions. People all over the world who have surpassed the average life expectancy have been interviewed and studied in great detail to find out what the secret to their longevity was. An interesting finding was that there are pockets of areas where the concentration of such people seems to be more and one such an area was in Greece. The moderator mentioned that people of that region tended to be active and follow what we consider the Mediterranean diet. Naturally when I was offered to review a cookbook about the Mediterranean Healthy Gourmet I had to check it out. 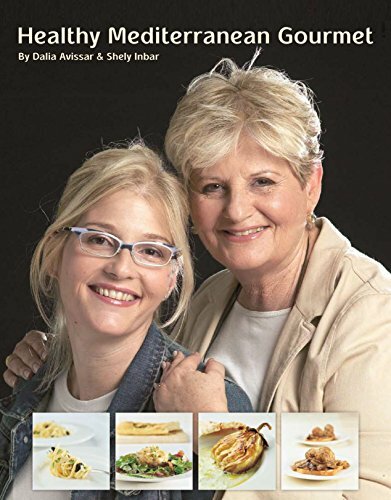 The book has many recipes, ranging from Salad, Soup, Fish, Poultry & Beef, Vegetables, Pasta & Rice, and Desserts. The recipes are easy to follow and can be prepared quickly. For a Gourmet cookbook I was expecting some fancy looking photographs, but I think the emphasize of this book is more on healthy. Unfortunately nutritional information about each recipe was not given and I hope that the authors can do so in subsequent editions. I have been so crazy busy with commissions that I have only had time to prepare some of the salads. I loved the Root Vegetable salad, something totally different and look forward to trying out the other recipes.